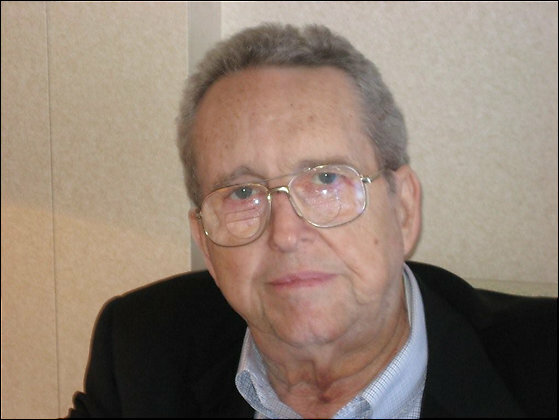 Edward H. Utley, 78, a retired Marine Corps Lieutenant Colonel who became President and Board Vice Chairman of Geico insurance company, died May 22, 2008, at Suburban Hospital. He had Merkel cell carcinoma, a rare form of skin cancer. Colonel Utley spent 20 years in the Marine Corps before retiring in 1971. He was a combat veteran of the Korean and Vietnam wars and developed an expertise in data processing. His final active-duty assignment was at Marine Corps headquarters. He joined Geico in 1973 and spent five years as President before retiring in 1994. Edward Harold Utley, a Bethesda, Maryland, resident, was a native of Michigan City, Indiana, and a 1951 accounting graduate of the University of Colorado at Boulder. In 1962, he received a master's degree in business administration from the Naval Postgraduate School in Monterey, California. His military decorations included two awards of the Legion of Merit, the Navy Commendation Medal and the Navy Achievement Medal. He was a golfer and certified flight instructor. Survivors include his wife of 55 years, Mary Kikel Utley of Bethesda; three children, Michael Utley of Fort Lauderdale, Florida, Lisa Dugua of Kensington and Kristine Detwiler of Cornelius, North Carolina; a sister; and three grandchildren. UTLEY EDWARD H. UTLEY, Lieutenant Colonel, USMC (Retired) On May 22, 2008 of Bethesda, Maryland. Edward H. Utley is survived by Mary, his devoted wife of 55 years; loving children, Michael Utley of Fort Lauderdale Florida, Lisa Dugua of Kensington Maryland and Kristine Detwiler of Cornelius Nnorth Carolina; as well as beloved grandchildren, Georges, Celia and Elise and sister, Jane Bell. Mass of Christian Burial will be offered 12:45 p.m., Wednesday August 27, 2008 at Fort Myer Chapel, Fort Myer, Virginia. Interment with Full Military Honors will follow at Arlington National Cemetery. In lieu of flowers, memorial contributions may be made to the USO World Headquarters, Department WS, P.O. Box 96860, Washington, D.C. 20090-6860.